Tribes can engage their communities in the vulnerability assessment process in several ways. Participatory approaches to vulnerability assessments engage tribal communities directly in the process of conducting the vulnerability assessment. Vulnerability assessment products can also include outreach materials that speak to a broad audience of community members. Below are examples of assessments that emphasized community engagement in the assessment process. 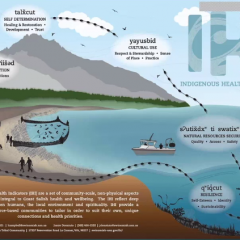 Swinomish Tribal Health Indicators project engages the community in identifying health impacts. 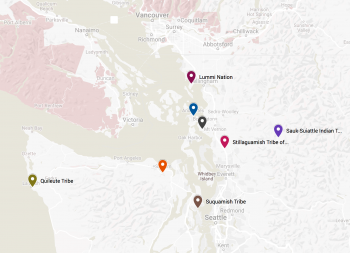 The project engages the community in the process of developing community-based indicators of indigenous health specific to tribes in the Puget Sound/ Salish Sea region of the Pacific Northwest. The project came about from a need for a tribal-centered approach that connects health risks and impacts to social or cultural beliefs and values about Indigenous health. 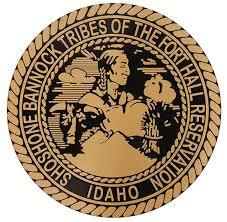 The Shoshone-Bannock Tribes produced a community video as part of their climate change assessment. As part of their climate change vulnerability assessment and adaptation planning effort, the Shoshone-Bannock Tribes produced a video in which tribal elders describe their observations of changes in their lands and waters. A link to the video is below. 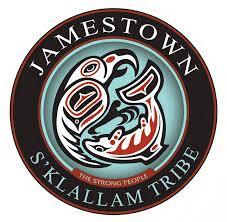 The Jamestown S'Klallam Tribe produced community fact-sheets as part of a vulnerability assessment. 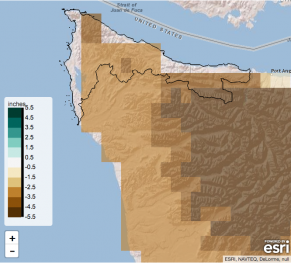 Adaptation International and the Jamestown S'Klallam tribe, with Washington Sea Grant, collaboratively conducted a climate change vulnerability assessment and adaptation plan for the tribe located on the Olympic Peninsula in Washington State. Products of the assessment included fact sheets for the community that summarize impacts for key climate areas of concern that were identified by the tribe. The key areas of concern are diverse and include infrastructure and natural resources (salmon, shellfish, cedar harvest, wildfire, casino and longhouse market, Highway 101, tribal campus water supplies, infrastructure, Jamestown Beach water supplies). Links to the project and some of the fact sheets are below. The Makah Tribe's Climate Adaptation Specialist discusses recent community engagement efforts. 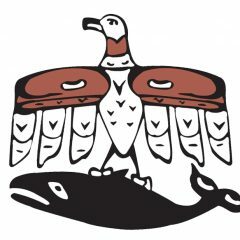 In this interview, the Tribe's Climate Adaptation Specialist highlights some of the on-going community engagement efforts as part of the Makah Tribe's climate adaptation planning process. An accessible community brochure highlighting climate change impacts for the Colville Tribes. 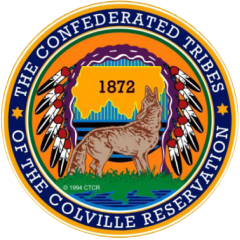 A brochure written for the community members of the Colville Confederated Tribes that describes project changes in climate, impacts to culturally important species, and a summary of what community members can do to help prepare for a more resilient future.